Our paper in Nature Communications about Pekin duck domestication can be found here. After read Charles Darwin’s book “The Variation of Animals and Plants under Domestication” , I was fascinated by domestic plant and animal. Fortunately, in omics era, we are able to uncover the mysteries of domestication in genomic level. Around five years ago, I carried out several studies for domestication of plant and fruits, and I mainly focused on elucidation of genetic basis of soybean and peach domesticate traits. We found many interesting stories in these studies. At 2014, I obtained young talent scientist position in the institute of animal science, CAAS, and then we mainly focus on studies of duck and genome and genetic breeding. There is no doubt that I continue work on the field of domestication of duck. The Pekin duck is a world-famous domestic duck breed which is known for its extraordinary body size and fast growth rate. Domestic duck, such as Pekin ducks can reach an average weight of 3.5 kilograms after 42 days. 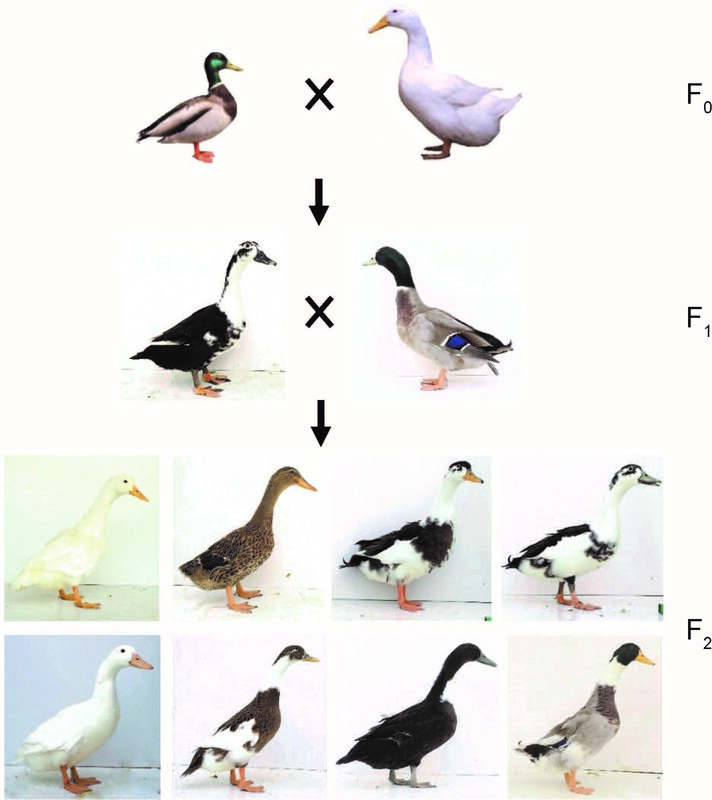 Domesticated ducks differ from their wild mallard progenitor in a wide array of morphological and physiological traits. I think it’s can help to initiate many attractive stories. The Pekin ducks in Beijing, China. photo by Zhengkui Zhou. However, there are some differences on plant and animal study, especially on the collection of wild samples. Lucky, duck domesticated in China, and the mallard can be caught on the fly way. 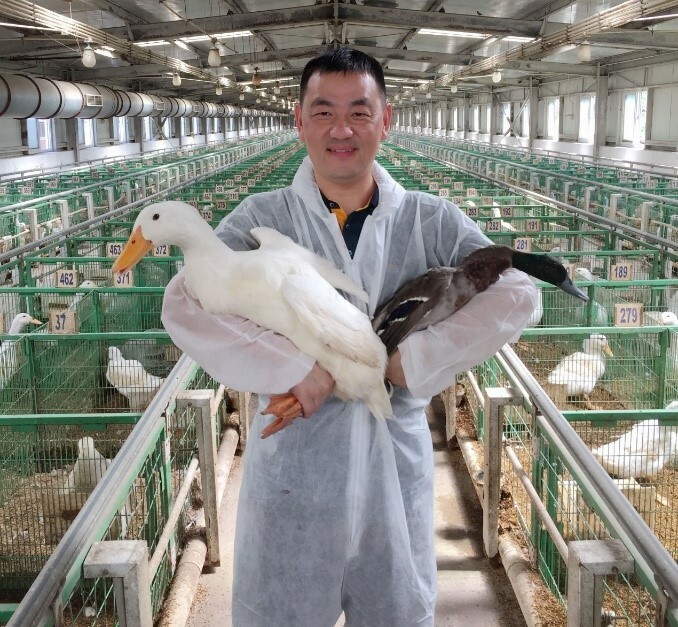 A company in Zhejiang Province has engaged in mallard farming for several years, and they have a mallard catching license. So we introduced 100 mallards to our duck farm. 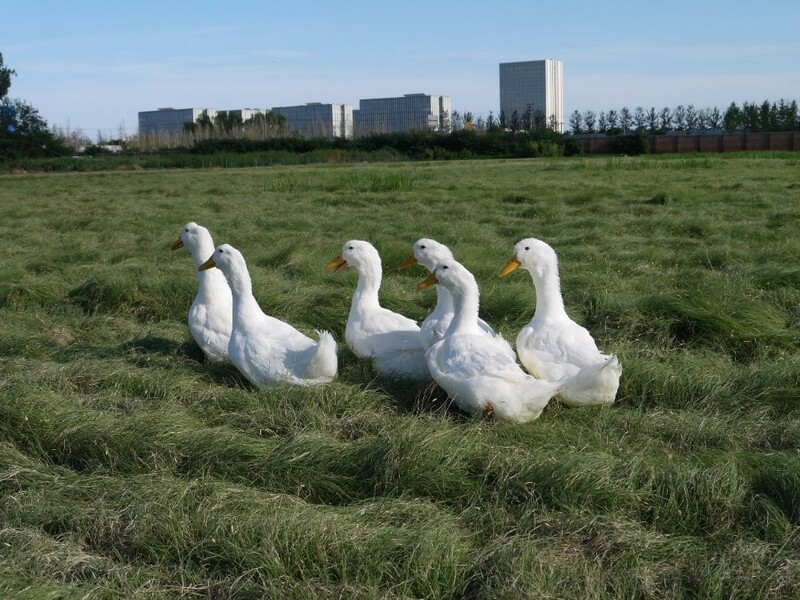 For the domestic duck, a pure Pekin duck breed Z line were selected from our farm. Mallard in Zhejiang, China. photo by Zhengkui Zhou. Most importantly, the study strategy still require further improve. In my previous study, we used comparative population genomics approach to discover the signatures of artificial selection during domestication, however, these gene functions cannot be directly explored. Hence, in this study, to facilitate the discovery and characterization of domesticate genes, we constructed a large segregating population using mallard × Pekin duck. The domesticated traits QTL mapping will help comprehensively understand the potential biological functions of these regions under selection. Pekin duck, mallard and me in our duck farm. Three generations of mallard×Pekin duck F2 population. photo by Zhengkui Zhou. Actually, the cross between wild and domestic duck is a big challenge. First, the body size differences make it is imposable for mating between them. So we carried out artificial insemination for crossing. Second, due to the fast growth and development speed for duck, all ducks within one day were required to be slaughtered to avoid the deviation caused by different ages. 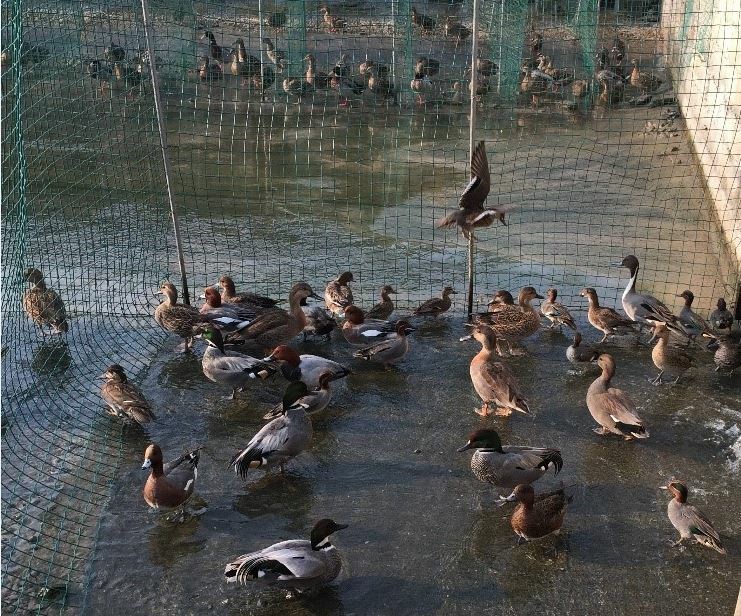 As the large population size with more than 1000 F2 generation ducks, so it is really a huge workload, therefore, we ask the help for experiment from all the group of our institute. More than fifty graduate students had joined into the slaughter experiment in June 2th, 2016, and this process started from 4:30 am and finished at 5:30 pm. Team member at slaughter experiment in June 2th, 2016. Fortunately, we have mapped two critical genes IGF2BP1 and MITF, which contribute to Pekin duck’s big body size and white plumage color, respectively. So, the evolutionary road from wild to domestic, from plant to animal is still on the way. Because I like it, so I think we can do it better in the future. I wish someone would have copy edited this commentary. Thanks for your comment and thank you also to Zhengkui Zhou for writing this interesting post! This is a community blog and we do not edit any posts on the site, as explained in our community policy. We ask all authors to write naturally, rather than in a house style, and publish over 100 such posts each month, and so inevitably spelling mistakes or grammatical errors are sometimes seen. I hope that you found the content interesting, nonetheless.